Good yoga teachers are confident. Their confidence in themselves and also their students radiates calm and assurance. Confident yoga teachers challenge their students to move beyond their own self-limiting mindsets and into their limitless imagination. For students, the practice of yoga opens the door to an incredible world of unity of mind, body and spirit. From this place of unity, limits dissolve and only opportunity remains. Good yoga teachers have been and continue to be students. They understand the amazing confidence that comes from the practice of yoga. Yoga teachers are confident but not arrogant. They are confident in their abilities and in themselves because every class requires a certain degree of courage. Good yoga teachers learn to conduct a challenging class while also inspiring their students. Their words, their poise, their sequencing and humor all play important roles in the effectiveness and enjoyment of their classes. Simply standing in front of a room of students with different needs and expectations requires great confidence. Fully delivering a well-received class requires experience which develops through confidence which develops through courage which develops every time they take their seat as instructor. We can all support our good yoga teachers – both new and experienced – by attending classes and making referrals among our friends. Good yoga teachers are special. Their chosen field requires much (training, effort, work) and they give much to their students. By attending classes, we are all the benefactors of their dedication to their path. 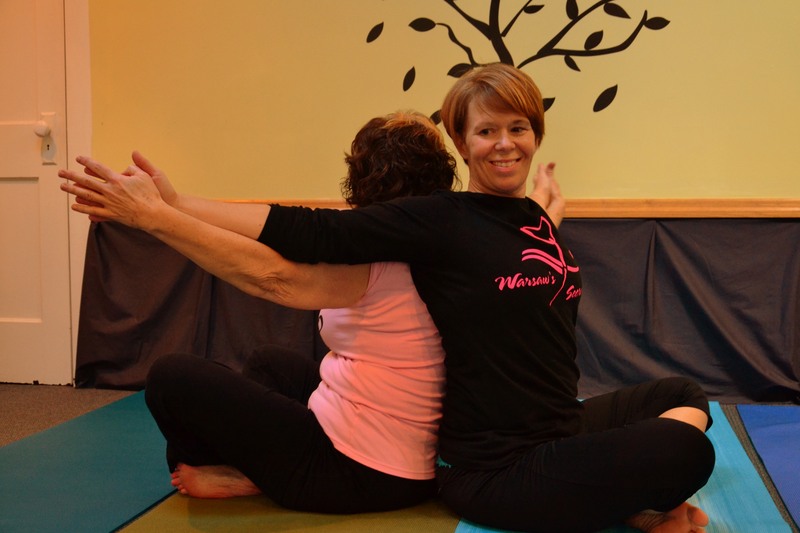 How has your yoga teacher instilled confidence in you? Your smile speaks a million kind words, brilliant post!